How to use Whatsapp Message Quote Feature:- Whatsapp is for sure the most popular chatting application that is currently available for smartphone users. 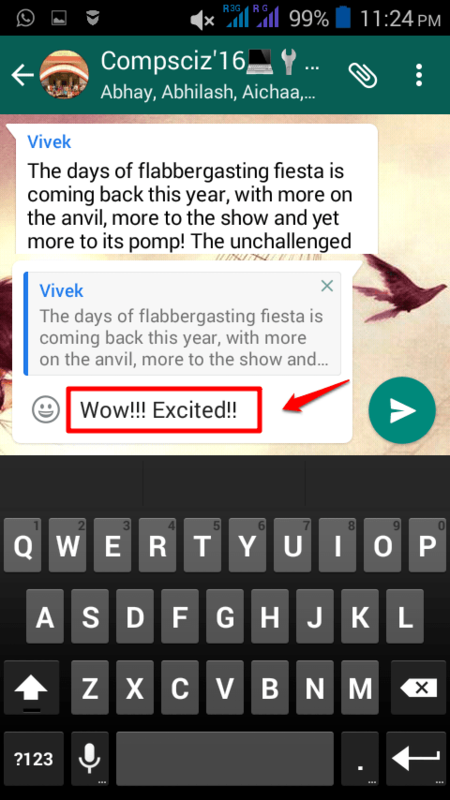 The Whatsapp team brings out something exciting for the users with its every single update. Wondering what’s new with the most recent Whatsapp update? Don’t wait anymore, let me get to it straight away. The new update lets the users quote messages in both individual and group chats. So if you want to reply to a particular message in a group, you can simply quote it and reply to it just like that, so that the sender can easily identify what you are talking about. Wondering how it can be done? Read on then! First of all, go to Play Store and update your Whatsapp version. 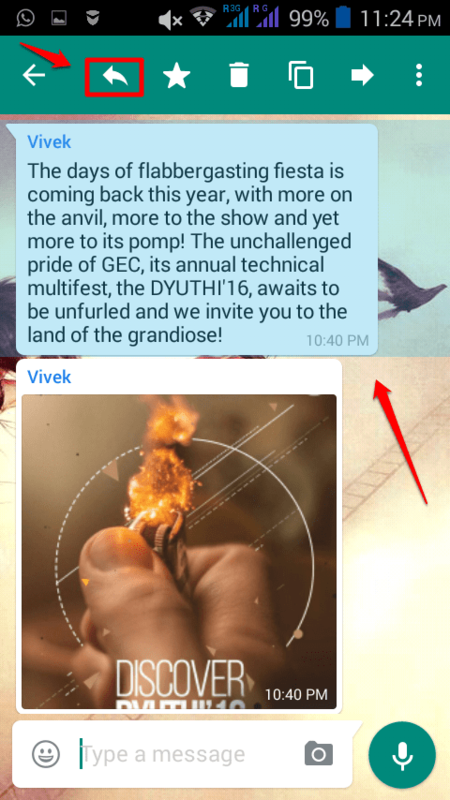 As next, pick the particular message that you want to reply to from an individual chat or from a group chat. As next, you need to long press on the selected message. Now if you look at the top section, you will be able to view a new icon. This icon is the Reply icon. Press on it. There you are! Now if you hit the Enter key, you will be able to see that you have replied to a specific message in a group or an individual chat. This feature is applicable to images and videos as well. Hope you had fun reading the article. 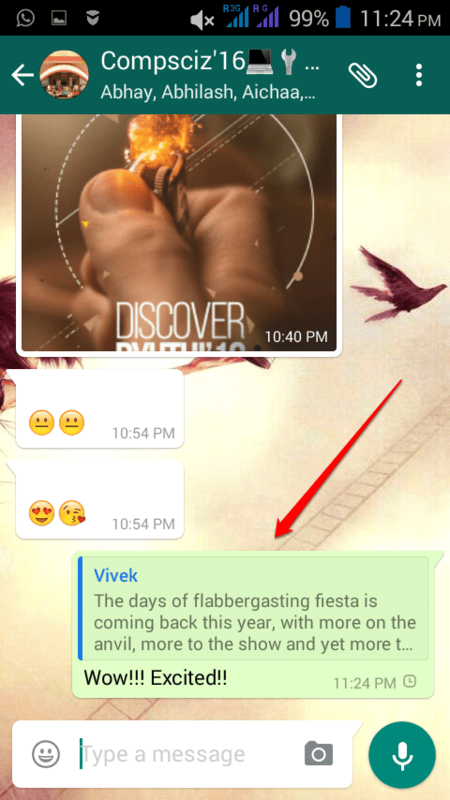 There are many more Whatsapp tricks that you might have missed. Why don’t you check out our article on the topic 27 Secret Whatsapp Tricks You Never Knew to be a true Whatsapp genie? If you are stuck with any of the steps, feel free to leave comments, we would be happy to help.